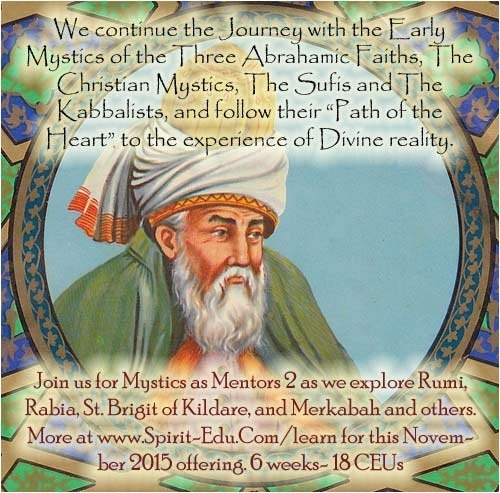 Spirit Education’s class offering for November is Mystics as Mentors 2: The Evolution of Three Mystical Traditions during the First Millennium- The Christian Mystics, The Sufis and The Kabbalists. Read more and sign up at https://spirit-edu.com/learn/courses/. Enter Early Bird coupon code EB-MM-02 at check out for a $30 discount. Value added @ 18 CEUs with Center’s approval!